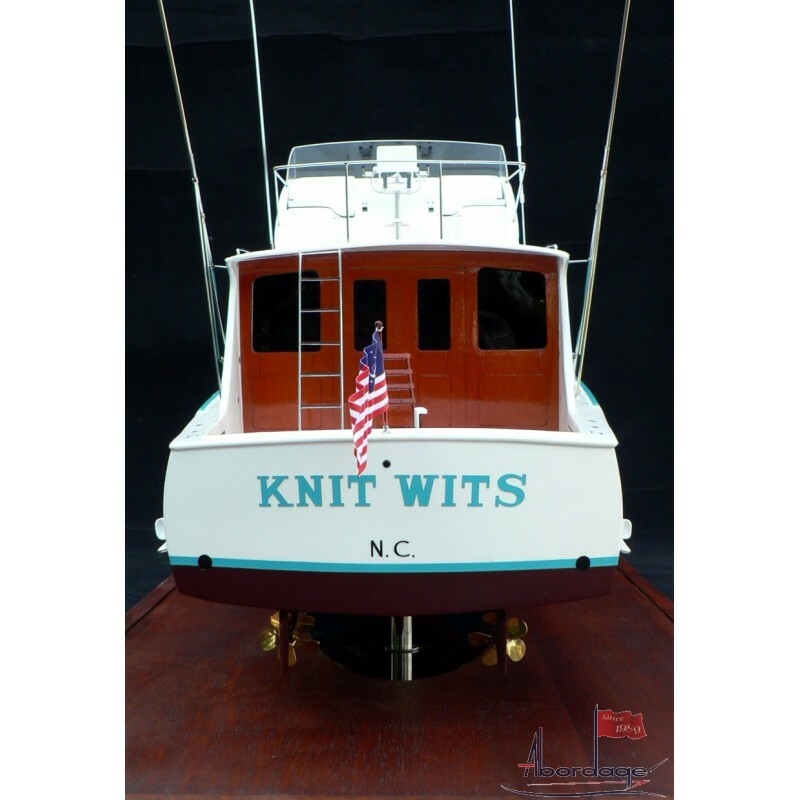 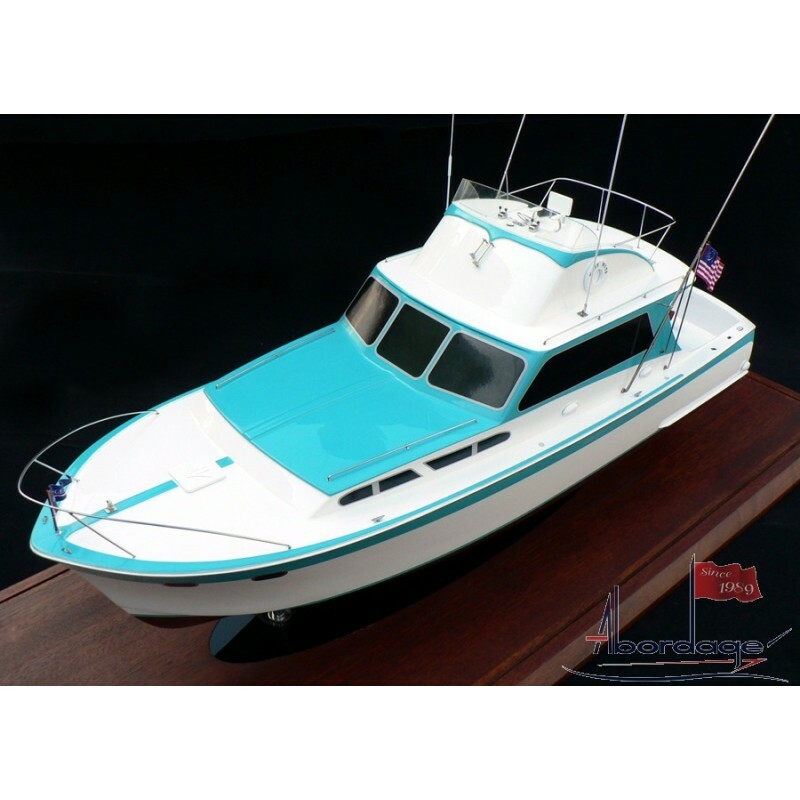 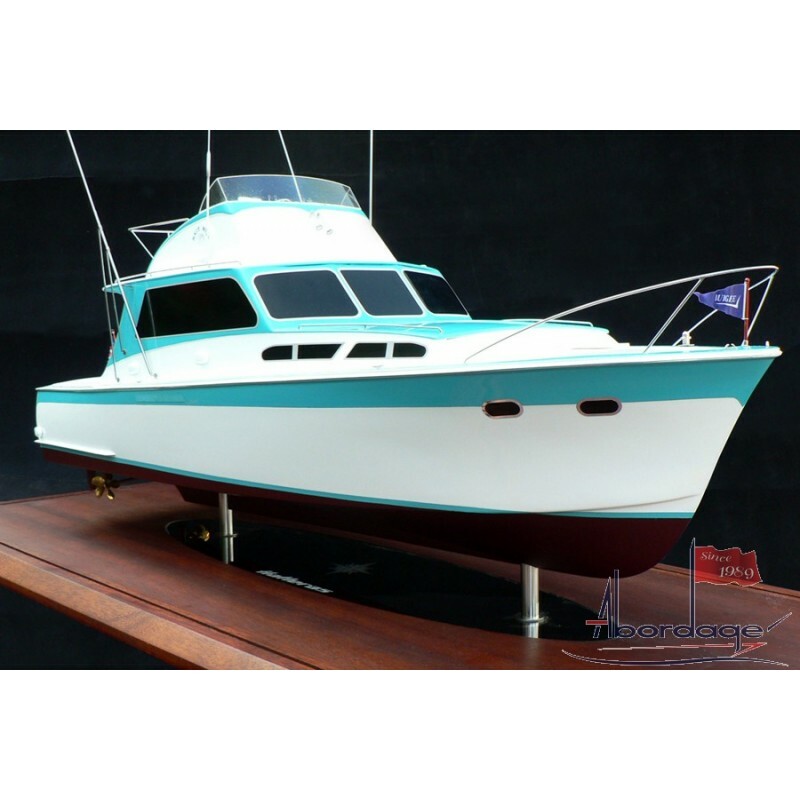 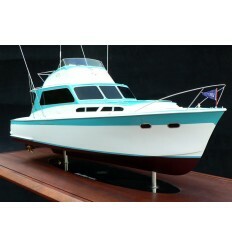 > Custom Models>Hatteras 41 "Knit Wits"
Reference Hatteras 41 "Knit Wits"
The Hatteras legend began on the barrier islands of the North Carolina shore where the frigid waters of the Labrador Current encounter the tropical Gulf Stream. 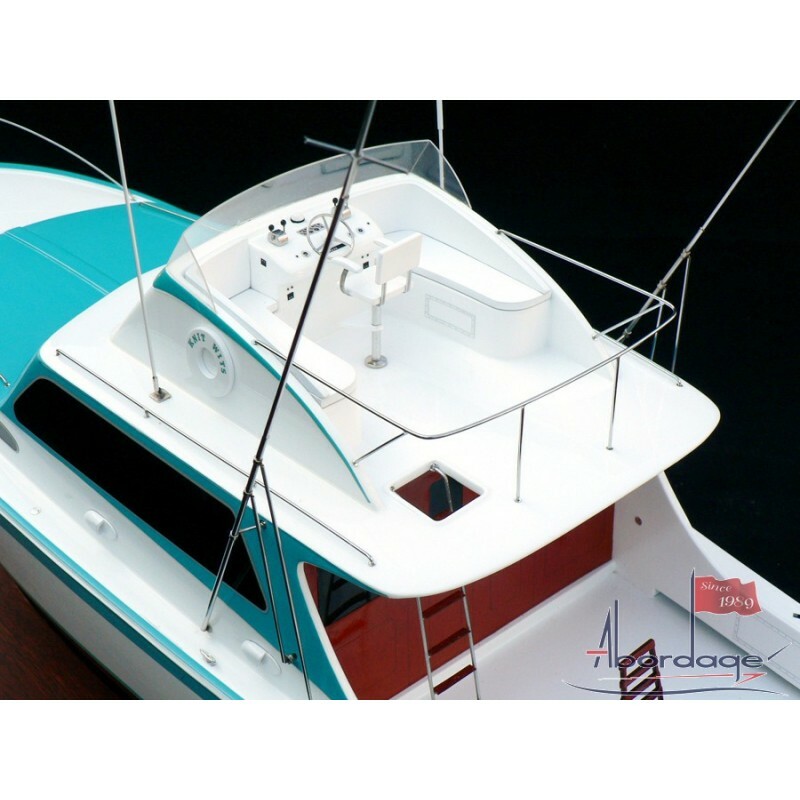 The outcome is Diamond Shoals - home to some of the most turbulent and untamed waters in the Atlantic and some of the best sportfishing in the world. 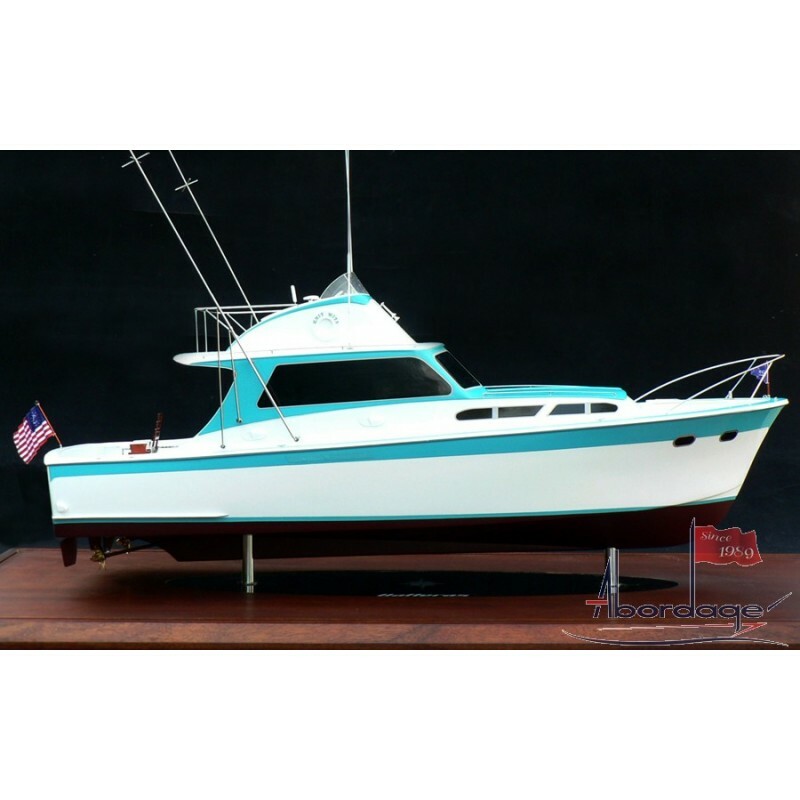 Here in 1959 at Cape Hatteras, where nor'easters can blow almost as fiercely as hurricanes, Willis Slane envisioned building a boat that could conquer the waters of Diamond Shoals and surmount the Hatteras weather. 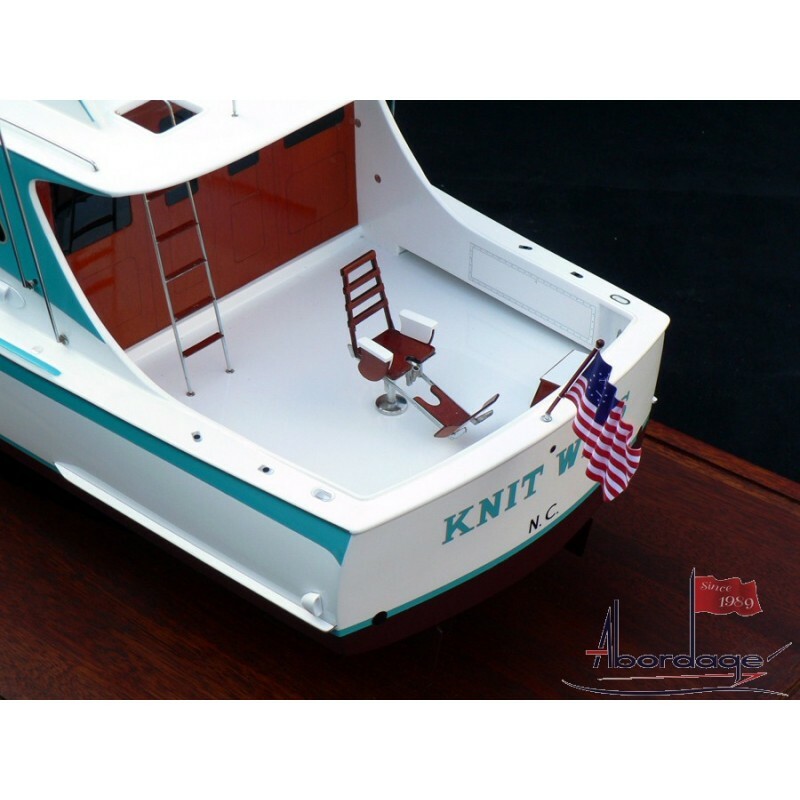 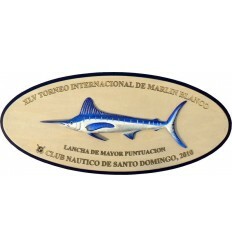 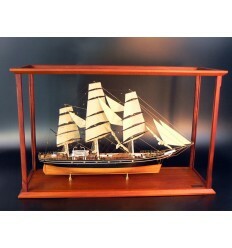 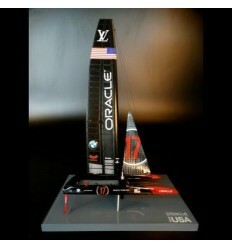 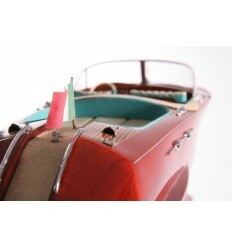 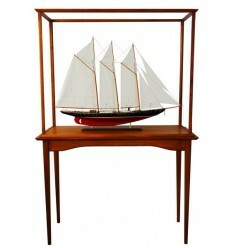 It would not be an ordinary boat - no traditional wooden fishing boat could do this. 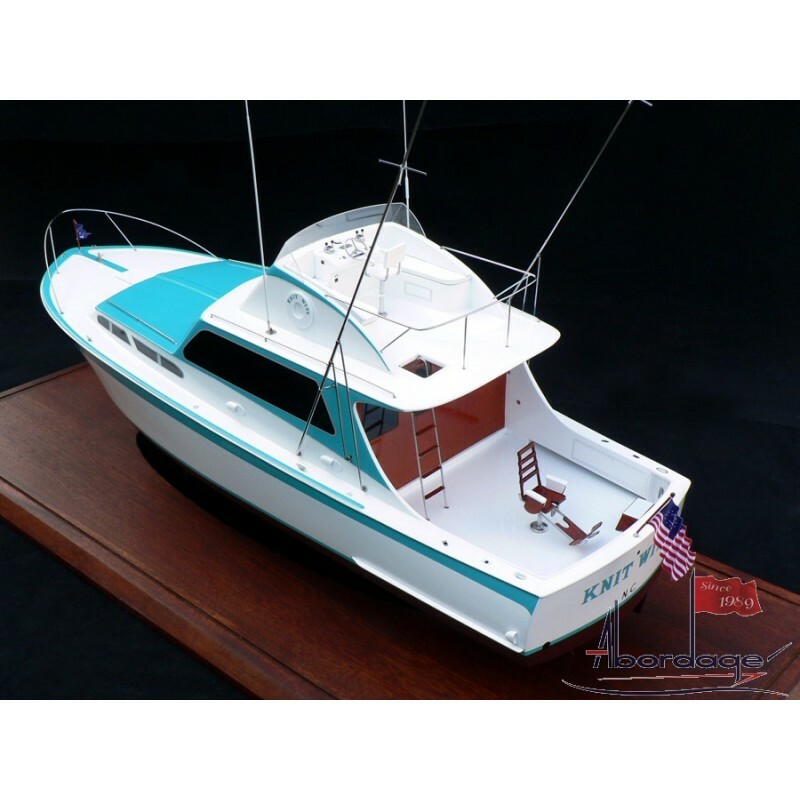 This new boat would have to be rugged and robust to take the pounding of Hatteras waters. But most importantly, it would have to be a great sportfishing boat - big enough to handle a group of avid fishermen and comfortable enough for family back at the dock. 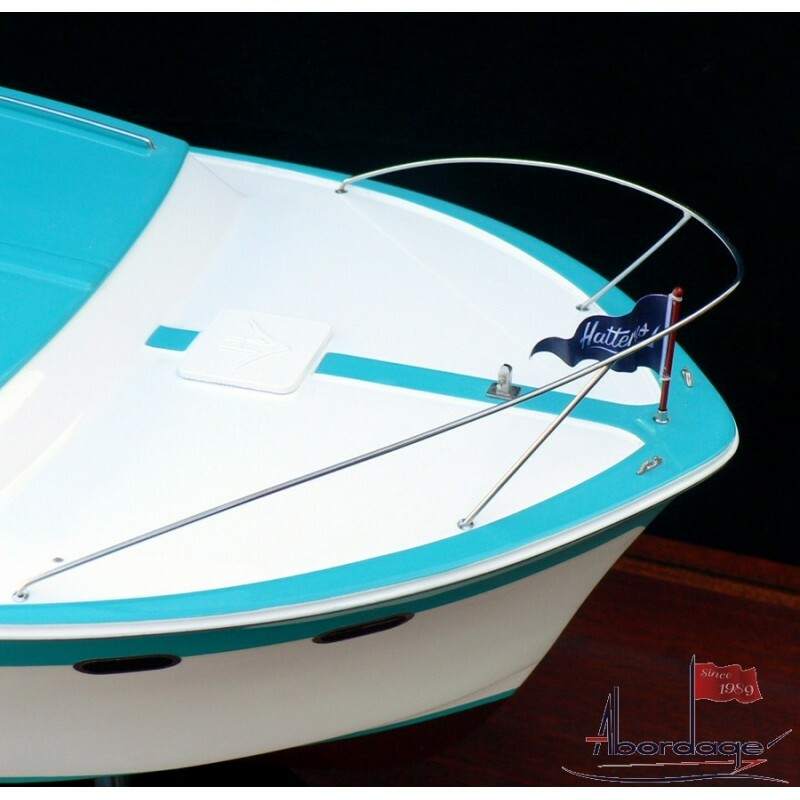 Breaking with all tradition, Slane chose a new material - fiberglass - to build this noteworthy yacht that launched an industry. 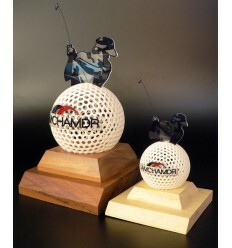 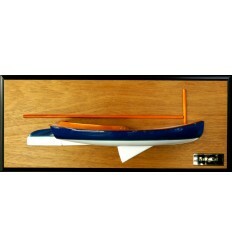 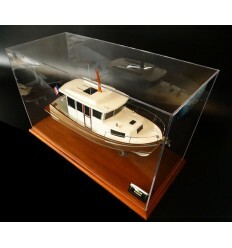 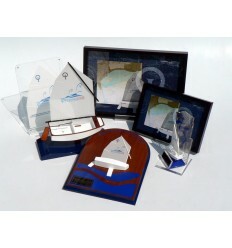 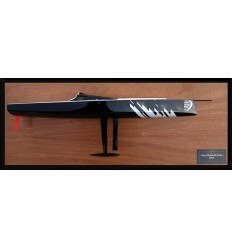 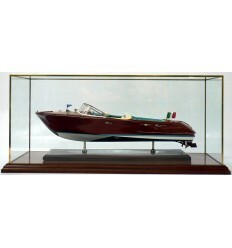 Abordage also built the model of the last Hatteras 60 GT Convertible.